For gentlemen wanting to execute extraordinary romantic proposals. Surprise your bride-to-be with a proposal that is as beautiful and unique as she is, all while being fully present to enjoy every moment without the stress or pressure of coordinating logistics. Our certified wedding planners provide everything you need to fulfill your dream wedding, including full wedding planning & design, from save the date to happily ever after! Let our passion to make your wedding as beautiful as your love become a reality, allowing you to truly enjoy one of the most exciting and memorable days of your life. It is an honor and a privilege working with engaged couples and their families. Let us make your special day everything it is meant to be. We help individuals plan their own "Social Event of the Year!" From boots and jeans to black tie, children to adults, we are a one-stop shop for complete design and logistics. Let our creative expertise free you of the worry and hassle of planning parties, so you can focus on enjoying the moment and making memories. 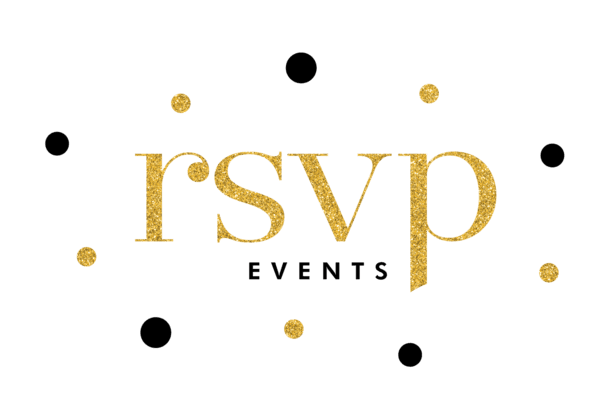 RSVP Events can help solidify your business's image and impact on the community with professional and strategic events guaranteed to deliver targeted results. More than ever, events play a vital role in today's marketing efforts. Let us make your company's event as successful as your business. Client Appreciation Events, Employee Training, Team Building Exercises & Retreats, Workshops, Retirements, Grand Openings, Open Houses, Conferences, Holiday Office Parties, Business Meetings & Expos, Sporting Events, Golf Tournaments.